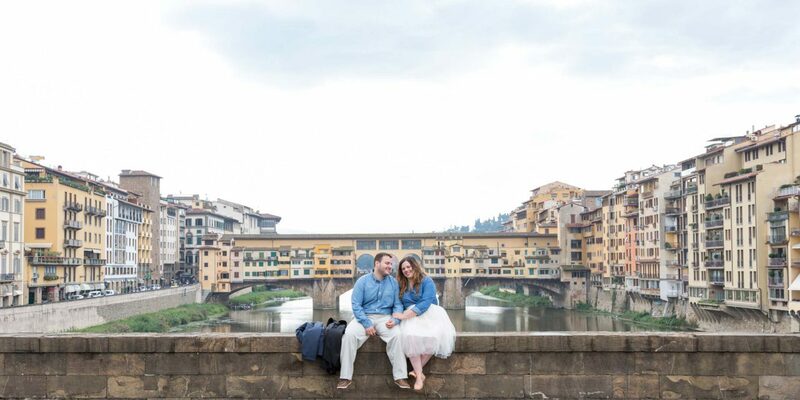 These two lovebirds made the most of their recent engagement by taking a whirlwind trip together around Italy, making stops in Rome, Florence and Venice. Read on for all the romantic details. “Nick and I had just gotten engaged before we left on our trip through Italy. It was such a beautiful gift that we were able to have this time to spend together. Our vacation was one huge road trip, stopping in each city for days at a time. We had the most amazing adventure climbing Mt. Vesuvius, exploring ancient Roman architecture, experiencing the quirks and culture of Venice, doing everything that we could think of! We made sure to try the best gelato shops, pizzerias and bakeries.